There is no better time to start one of these green business opportunities. 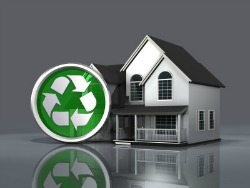 Consumers are more conscious of wanting to buy from a green business owner. A green business has a marked advantage in today's marketplace. Often customers go out of their way to patronize sustainable businesses. We know that business sustainability is important to our environment and to our lives. There is no better time, for an entrepreneur wanting to own a business, to take the step into a green business opportunity, and, of course, generate a solid income too. A person started each small business idea listed below and is supportive of recycling, eco-friendliness or some aspect of enriching the earth. In doing so, they all have their eyes on earning a solid income. Green friendly businesses lead to solid profitability. Jody is a walking green encyclopedia. Luckily, homeowners are more than willing to pay for her knowledge. She holds classes using libraries, churches, YWCAs, co-op extension services, colleges, AARP groups, neighborhood associations, non-profits, etc. She charges $12 pp with $4 going to the sponsor. Her average class size is 16 people. She has arrangements with contractors and suppliers to pay her a referral fee for people she sends to them (with a 10% discount coupon). She does in home consulting for $75 per hour. This is the fastest growing part of he business. Auto junkyards, yes; Bicycle junkyards, I never heard of them. Well, you’re missing a green business opportunity big time! John Frances lives outside Chicago. Read his story how he is making a great income in the bicycle junkyard business. Mike Meuser has been very successful in this arena. In fact, he has put his success to work in an all-inclusive ebook called How to Make Money in the Home Based Salvage and Recycling Business. 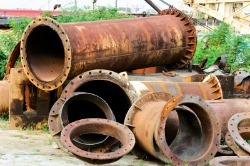 He shares what went wrong and what went right for him as he started his now successful salvage and recycling service. By purchasing his low costing ebook, you also have access to him to assist you in saving your part of the earth. Stanley from Pearl, Mississippi lost his full time employment. The only asset he totally owned was his pick up truck and a determination to work hard, which is what he always did. He is a fan of Craigslist. He treats it as entertainment; just looking through it seeing what is what. He noticed that from time to time, people want stuff hauled from their property. He investigated what to charge and what to do to recycle the junk he would pick up. He spent $25 to purchase the Bible of the Junk Business, The Definitive Guide to Starting A Junk Hauling Service. It sounds a little off the wall to think you can make money by raising and selling earthworms. That’s what Caroline from Atlanta, Georgia initially thought too. She and her husband love to fish the old fashion way, using worms or as they called them, night crawlers. The problem was, their backyard was wormed-out from all their digging. When they bought night crawlers from bait shops they were scrawny and limp and spoiled easily. 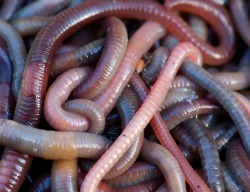 Today, they sell “their” big and juicy night crawlers to all those bait shops plus have a thriving online business sending their worms, so far, to persons in 31-states. In another six months they expect this to be the engine that drives their worm-farming venture. I hope these green business opportunities have been interesting to sort through and you find an opportunity that will fit your passion. Thank you for visiting Green Business Opportunities for Sustainable Businesses.